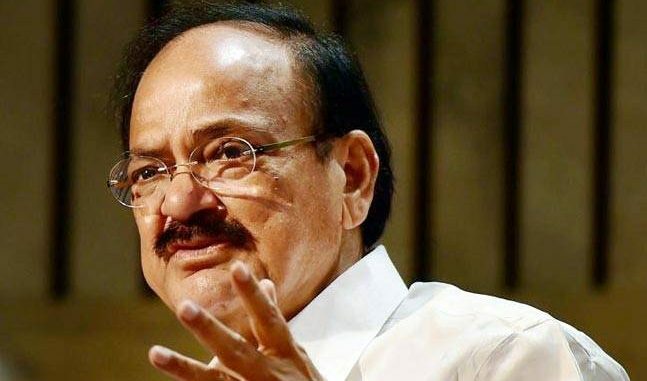 New Delhi: Rural youth with limited education are also well informed and harbour entrepreneurial hopes, Vice-President Venkaiah Naidu said on Thursday. He mooted greater support for them in areas such as access to credit, technology and marketing to help them emerge from poverty. “The challenge is to encourage more youth to make the choice of becoming entrepreneurs, rather than job-seekers. Many more opportunities for decent livelihoods must be created rapidly in the rural areas,” the Vice-President said. “Creating a facilitative eco-system for rural entrepreneurship is very important. Mentoring is a crucial part of this eco-system,” said Mr. Naidu at an international mentoring summit. While the government was promoting inclusive growth through programmes like Start Up India and skill development, both the public and the private sector had to work hard to create an enabling ecosystem for budding entrepreneurs. “I can see immense scope and possible intervention of Corporate Social Responsibility (CSR) funding to support the unique mentor movement in order to create successful entrepreneurs,” he said, suggesting that profitable larger companies could help lakhs of youth. Youth who had undergone entrepreneurship development courses needed sustained support, guidance, counselling and timely advice to apply their skills, develop further and fulfil their potential, the Vice-President noted. “In the absence of quality mentoring, the youth find themselves lacking focus and direction to channel their skills and become successful entrepreneurs. The nurturing and follow up support provided by mentors can often make the difference between abject failure and spectacular success,” Mr. Naidu said. “Rural India is rapidly changing. The rural youth too are well informed, are eager to learn, have an entrepreneurial spirit, and quite often even global aspirations,” he said, noting that fostering ‘grampreneurs’ or rural entrepreneurs could transform the hinterland.